Green thumbs and dirty nails...: What I started with. 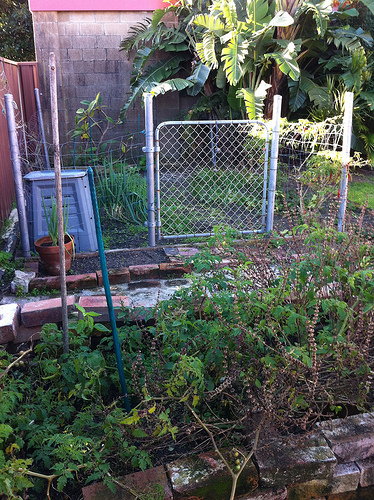 When we moved into our rental home, it was immediately apparent that the garden had been 'let go' for many months. 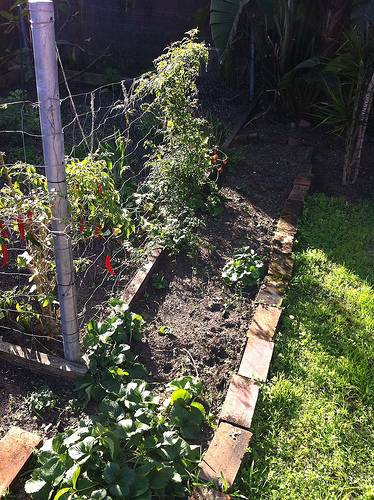 The veggie patch was a mash up of plants, including a large frangipani tree, groupings of shallots, and rouge tomato plants seemingly growing from seed. The other garden beds had basil plants that had gone to seed and bush tomatoes at the end of their season. There was nothing able to be harvested. Structurally the main veggie patch was superb. 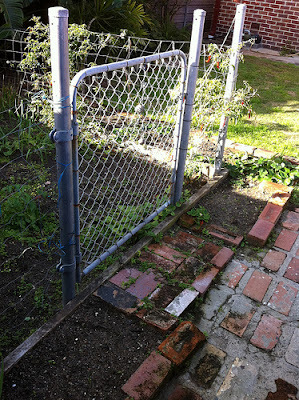 It was a fully fenced block about 4 meters by 2.5 meters complete with entry gate. 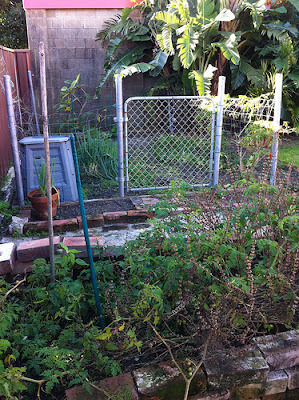 On the long side next to the fence was a grid that could be used to hold up climbing veggies. There was also a gigantic banana tree that was shading a third of the patch with its mass of foliage. 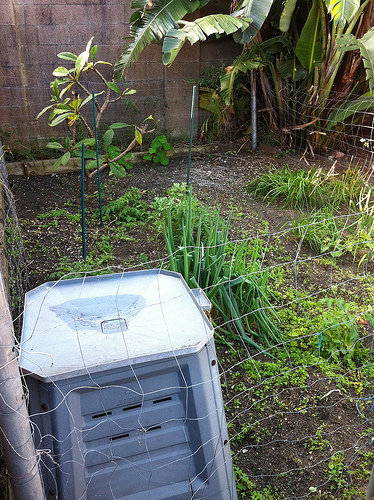 In one corner of the main patch stands a compost bin. It was reasonably small but sufficient enough for its purpose. 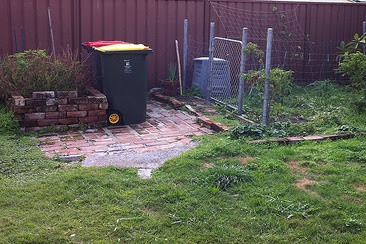 The main veggie patch has a paved space next to it, and next to this is a built up garden bed (divided into two) made entirely from loose bricks. These beds were filled with plants that had gone to seed. The space was also being used as the garbage bin area. Around the main patch was a boarder bed outlined by bricks. Strawberry plants had spread through these beds, with a number of runners growing along the perimeter of the patch. Through all the overgrown and dying plants, I could definitely see this spaces potential. A little bit of hard work would be all it would take to bring this area back to its former glory.